Mark started in the construction industry while in university in the early 90’s. 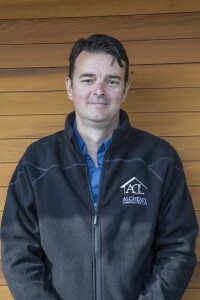 Having graduated with a degree from the University of British Columbia, his entrepreneurial spirit propelled him to start his own company in 1994, and Alchemy Construction was born. Mark has a strong passion for building and renovating residences that their owners truly appreciate on a lasting basis. 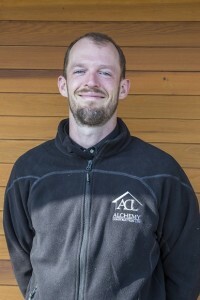 Mark’s role with Alchemy has evolved over his more than 23 years of experience with the company, moving from being a hands-on carpenter, to project manager, to his current role as overall company manager, overseeing his project managers, his dedicated team of carpenters, and his office support staff. Alchemy Construction has been an outstanding success in North Vancouver, growing consistently and regularly winning Ovation and Georgie awards for excellence in home building. Central to Alchemy’s long-standing success is Mark’s dedication to fine craftsmanship and meeting budget and schedule guidelines, coupled with Mark’s core principles of honesty, fairness and transparency. Mark’s standard is to keep his clients fully informed during the entire building process, providing relevant and up-to-date details showing progress and all related costs. This transparency has built long-standing trust with his clients, many of whom continue to do ongoing business with him for years, and happily refer other homeowners to Alchemy for their building needs. Mark’s excellent ongoing relationships with high quality tradespeople are also a testament to his high integrity and professionalism. Mark loves the outdoors and spends time whenever possible in the summers camping with his wife, two young daughters, and his labs, Cooper and Hunter. Eamonn has been with Alchemy Construction since 2006. A hands-on carpenter initially, Eamonn completed his ITA apprenticeship program at the British Columbia Institute of Technology and achieved his Red Seal certification. As a project manager with Alchemy, Eamonn prides himself on excellent two-way communication with clients, and his leadership in directing a positive and cooperative team effort on site. Eamonn thrives on developing strong relationships with clients during the building process, taking the time with them to visualize their desired results and then help them attain their dream home, working within budget and on a tight timeline. Eamonn is a consummate team player, and excels at directing a cooperative effort between Alchemy employees and trade personnel. Eamonn is a family man, devoting his time outside work to his wife, son and daughter. While not coaching hockey and baseball for his two kids, Eamonn loves hiking with his two Huskies, dirt biking, and playing goaltender for his hockey team. 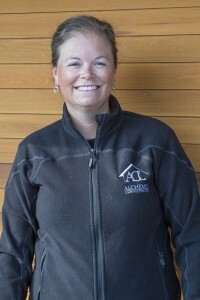 Carla has been in the construction business since 2006 and joined Alchemy Construction in 2009. 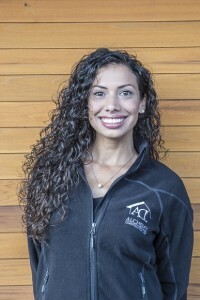 Carla has a flair for creativity and is passionate about helping home owners fulfill their ideal home design. Carla studied interior design at the British Columbia Institute of Technology and was awarded standing with distinction for her hard work and commitment to excellence. Carla excels at space planning, AutoCAD drawings and material selection, utilizing her natural creativity, artistic abilities and attention to detail. Coupled with her creative expertise, Carla is sensitive to clients’ budgets, and has a knack for sourcing high-quality materials at the best prices. Carla truly cares about her clients and is warm and friendly in her approach to helping them achieve their ideal design vision. Central to Carla’s approach is tailoring her designs to her clients’ tastes and preferences, ensuring a result which they truly appreciate and enjoy on a lasting basis, and which reflects their own character and sense of style. Carla enjoys working as part of the Alchemy team and has a soft spot for the office canines, Cooper and Hunter. Outside of working to fulfill Alchemy clients’ dream designs, Carla enjoys entertaining at home, cooking, hiking and skiing. Justine has worked with Alchemy Construction since 2007, and has over 12 years’ experience in construction and 8 years in the logging industry. Justine deals with accounting duties for Alchemy, and takes pride in her organizational skills and handling all accounting flow with accuracy, consistency and timeliness. She makes sure to have the information needed to address any customer or supplier questions with clarity and promptness, and is proactive in getting back quickly on any such inquiries. While Justine is naturally detail-oriented and great with numbers, her most important role is in raising two young daughters. Justine is an animal lover with a passion for horses and riding and loves camping and the great outdoors. 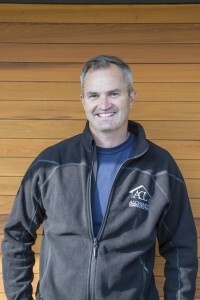 Bradley has worked in construction since 2006 and joined Alchemy Construction in early 2018 as an accomplished project manager, with experience focused on custom home builds and renovations. Having earned his Masters in Project Management at the University of British Columbia, Bradley is well attuned to both the organizational and conceptual side of project management, as well as being a true hands-on builder. In working with clients, Bradley listens keenly to their needs and wants, and is sincere about bringing their building dreams to fruition. On site, Bradley is a team player who is willing to listen, is open-minded, and thrives on guiding his team and trades towards creating the client’s desired vision. When not building clients’ dream homes, Bradley enjoys family time coaching team sports, as well as cycling, traveling and tasting the occasional select vintage.